Explore the parts of an animal cell, with animations and a quiz. Explore a cell and find out what the different parts do. Review what's in a cell then label a diagram and try a quiz. Key facts about specialized animal cells and their functions. Watch a video with interactive questions about cells, organs and systems. See how cells are the building blocks for tissues, organs, systems... and all living things. How many cells does your body make in a minute? 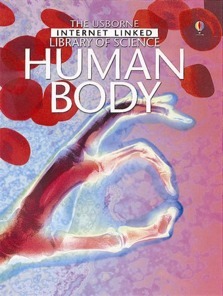 Readers will embark on an incredible adventure into the workings of the human body in this superbly illustrated book. An ideal revision tool, it also contains activities and Usborne-recommended Web sites designed to enhance learning. Includes a comprehensive index and glossary of useful terms. This is a both factual and interesting book, it covers all of the human body even specific areas like the nose, hair and ears. This is an excellent book and I would recommend it to ages 9+.